Cloudy. High 64F. Winds W at 10 to 20 mph.. Mainly cloudy. Low 47F. WSW winds at 10 to 20 mph, decreasing to 5 to 10 mph. In the winter the Mountain Belles can take part in a variety of indoor activities, such as drumming and curling. Activities are designed to get participants outdoors exploring new activities, like identifying edible plants. Mountain Belles must be 21 or older, with some members in their 60s. There's also a big gap between members with lots of outdoor knowledge, and those looking to learn. Whitewater rafting down one of the Bozeman-area rivers is an annual highlight for Mountain Belle members, who get a discount for the half-day trip. About three years ago Leslie Peterson was looking to expand her social circle and found a Facebook page identifying an all-women’s group in Bozeman called the Mountain Belles. The proposed flower walk sounded interesting, but she hesitated. So she lurked, clicking back on the Facebook page to see what other activities were being advertised. A couple of months later an outdoor navigation trip up a nearby mountain was announced. She took the plunge. The hiking trip was plagued by rain that turned into sleet and then heavy snow. Huddling under tarps atop the mountain the participants slipped into extra clothing to stay warm. “I had never done anything like that before,” said Peterson, who grew up in the suburbs of Chicago before moving to Montana about 14 years ago. Up until about seven years ago, she hadn’t even participated in many outdoor activities. Now that’s all changed. Three years after joining the Mountain Belles on that first hike she’s become a board member, giving back to the group that ranges in ages from 21 to the late 60s. 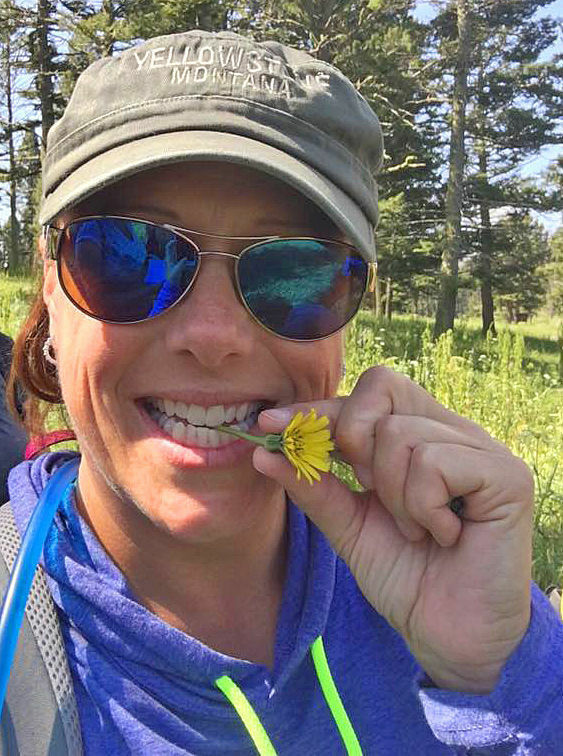 Along the way she has experienced a variety of outings with the Belles, including golf lessons, overnight trips to Forest Service rental cabins, cross country skiing and whitewater rafting. Formerly known as Team WinS — Women in Sports, the group is a nonprofit. Having a group to introduce women to the outdoors in Bozeman and the surrounding area makes sense. Many residents are newcomers to the region. Between 1990 and 1999 Gallatin County had seen more than 9,000 people migrate to the area — “over twice the number of in-migrants as the previous decade,” according to a county profile. Between 2001 and 2016 another 1,800 people migrated to Bozeman, according to Headwaters Economics. Since 1990, the county’s population has doubled. With all of those people new to the area, finding out where to go and having people to go outdoors with can be difficult, unless you are a Mountain Belle. Like Peterson, Sunni Tenhor moved to Bozeman from much more metropolitan areas. She grew up in New York City. Prior to moving to Montana eight years ago she was working in Utah and Colorado as an elementary teacher. She now teaches in Willow Creek, a small school just outside Three Forks — the closest place she could find a job in her profession. It’s a 70-mile daily commute. 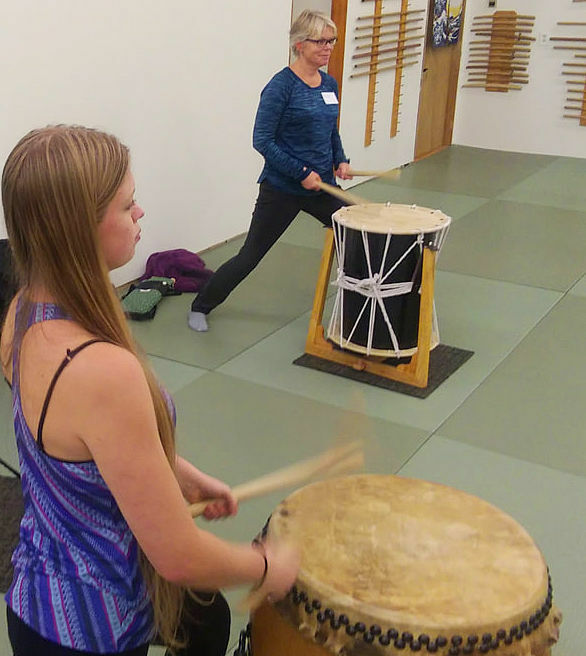 She likes joining other women while recreating outdoors, even though winter activities can include such diverse activities as aikido (Japanese martial arts), snowga (yoga in the snow), trapshooting, archery, curling and drumming. “Bozeman has a lot to offer,” said Tenhor, who is now the board’s president. When the weather warms, the Mountain Belles have planned a dragon boat paddle day on the East Gallatin Recreation Area’s pond. Most of the events are free to members or offered at a discount. Equipment is often provided for more specialized clinics, while members have to provide gear for other activities. Based on word-of-mouth advertising and its Facebook page (www.facebook.com/MountainBelles), the Mountain Belles have grown to about 150 active members with about 500 Facebook followers, some of whom are members who have dropped out or not paid their yearly dues. Although the group’s membership is sizable, Tenhor said most outings will attract no more than 30 to 35 individuals. “It’s never a huge group because people have so much going on in their lives,” she said. The Facebook site also provides a spot for members and nonmembers to post other spur-of-the-moment activities, like a day hike or bike ride, to see if anyone wants to go along. All of the club-sponsored activities are at night or on weekends. For more information about the Mountain Belles, log on to their website at www.mountainbelles.com.